My experience at The School for International Training (The SIT Graduate Institute) in Brattleboro, Vermont was transcending. It forever changed, and shaped my perspective on teaching TESOL as well as on teaching in general. My friend, who is contemplating enrollment, recently asked me to share details about my SIT experience. I think her questions are valuable for future students, so I am answering them here. Her questions: What are the core reasons why you love SIT’s master’s program? What did you get out of it? How do you feel SIT can help its students make the world a better place? What are the not-so-good things about it? Because I didn’t want to devote a full year of my time to my master’s, I enrolled in the Summer M.A. in TESOL, known to us as SMAT. I was a member of the 26th SMAT class, so we call ourselves SMAT26. This program is for practicing teachers and allows them to keep teaching in their current contexts and come to Brattleboro for intensive two month courses during two summers. In between those summers we had two online courses (forum style – not intensive), and a supervisor from SIT came to observe us in our respective teaching contexts for a week. This supervisor acts as a fresh pair of eyes in respect to your classroom content and techniques, and is meant to support, not evaluate. I am extremely grateful for my experience with my supervisor, Elka Todeva. Aside many other learnings, she helped me understand how to catch those precious learning moments that pop up during a lesson, and use them to my students’ advantage. I understand that this part of the program has now slightly changed. For most of the SMAT26s , SIT professors acted as our supervisors, but for SMAT27 I heard some SIT graduates were their supervisors. 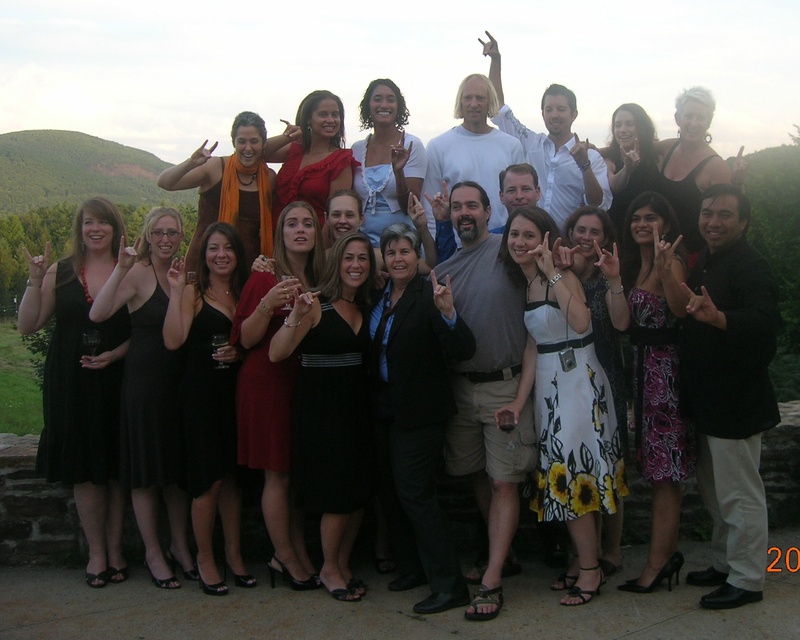 Another element of the summer program is that we present in, as well as organize, a TESOL teacher’s conference, Sandanona (click here to see our 2008 program). Here we learn the importance and value of professional development. Organizing a conference, while also preparing your own personal presentation/workshop, is no simple task, but the learning and growth that comes out of it in the end make those sleepless nights well worth the while. experiential learning; extensive group work; pass/fail grading; no lectures; no tests; emphasis on reflective learning/teaching practices; the value of feedback; amazing professors; connection between culture and language; and the most inspirational teaching peers I could ever have met. When I first heard of SIT the first element that caught my attention was its teaching approach, which is based on experiential learning. 29 years old when I started the program, I understood the significance of learning from experience. Up to this point I had made, and learned from, enough mistakes to know this program matched my learning style. In all our classes (Second-Language Acquisition, Intercultural Communication for Language Teachers, Language Analysis for Lesson Planning, Approaches to Teaching Second Language, Curriculum Design and Assessment, English Applied Linguistics, Teaching the Four Skills, and a beginner language class – mine was Indonesian), the foundation for learning was always based on our past experiences. Although we explored and researched theory, we explored it via our experiences. Whether in relation to ourselves as teachers, learners or cultural beings, through the guidance of our accomplished and patient professors, we examined the depths of our beliefs. Sometimes scary, but always fruitful, this reflective practice has helped me become a more confident teacher. Now I can tell you why I teach the way I do, and I can back up my beliefs with valid reasons and explanations. I couldn’t do this before SIT. I also loved the idea of focused group work. I’ve always learned the most from my interactions with people, so this was another good match for me. The majority of the time we couldn’t chose our partners, so we needed to learn how to work with people who didn’t always share our beliefs. We learned various methods for working in groups. The group experiences I had at SIT helped me learn how to be a professional team member, who values active listening (paying full attention to the speaker), and purposeful talking (knowing when and when not to talk). I feel like I am better equipped to be an efficient team member, and better prepared to deal with the “difficult” people who enter my life. Because of the emphasis on group work and experience, we never had traditional tests. We were assessed on written assignments, group presentations, and our active participation during lessons (e.g. pass or fail grading). This was important for me because I had always been an average test taker. Traditional tests involve rote learning, they lack creativity, and they just don’t help me learn. I also don’t believe tests are a good measure of long term learning. I think they are a brief snapshot of a moment of learning. At SIT when we handed in an assignment our teachers gave us feedback, which asked us to reflect on what we had expressed. The learning was continuous, not stagnant; creative, not linear; reflective – my style. One thing I didn’t realize when I came to SIT was how much the cultural component of the course would effect me. In Intercultural Communication for Language Teachers with Pat Moran, we explored our history as cultural learners and explored how culture effects the language classroom. We looked at culture from the perspective of the learner and the teacher. I learned that culture is an extremely dynamic, complex, and wondrous human conception which cannot be ignored in the classroom. But more importantly, I learned how to nurture culture while teaching communicative competence. There is no doubt that this class had the biggest impact on me as a person, and as a teacher. All this being said, the most significant experience I got out of my time at SIT is an everlasting relationship with an amazing group of teachers who I now consider dear friends. Whenever I’m in a teaching bind, their loving feedback is simply an email away. I can come to them with an array of complex questions, ranging from culture to language acquisition, and I’m never left hanging for support. I am extremely grateful for the lifelong connections of friendship and professionalism that I made at SIT. The following video is a representation of the SMAT26 experience. During our last summer I interviewed all the SMAT26s, compiled their stories with pictures we took over the two summers, and along with the graphic design and sound mixing expertise of my SIT friend and colleague, Tana Ebaugh, this video memory was born. I asked each teacher the questions: What has been significant for you about your time at SIT? How would you describe your experience at SIT in one word? I hope this video gives you a taste of what life is like at SIT. As you can see from my comments above I have been very satisfied with my the education I received at SIT. That being said, I would add one element to its current curriculum. I would like to see a conflict resolution component to the program. I don’t think this is a requisite for any other M.A. in TESOL, but I believe it would be complementary to SIT’s approach to training TESOL teachers. We learned positive ways to be group members, but we never learned techniques for dealing with situations that weren’t so positive. In a group setting, there is a high chance some people won’t get along. When people share opposing points of view, or behave in ways that don’t match your values, clashes will happen, but what do you do then? There are many techniques for conflict resolution out there, and I believe the MAT program could benefit from promoting one. This could be a simple task to accomplish since there is a conflict transformation (CONTACT) program on campus. Other than that, the only other not-so-good thing about the summer program were the questionable library hours. I know I speak for my class when I say that the approach of SIT’s professors helped create teachers who aren’t afraid of a challenge. We intensively explored the depths of theory and of ourselves, and we would do it all over again. Now we come to our own teaching contexts with a set of teaching beliefs that guide our lessons, and the way we interact with our students. Trusting yourself, and taking responsibility for how and why you teach the way you do is the first step to thinking you can make a difference in the world. How you make a difference is up to you, but SIT gladly gives you the space to figure it out. On April 1st, 2010 I officially finished my IPP (thesis), “How ESOL Teachers Become Aware of Communicative Peace”. The writing process took the full two years allotted to SMAT students. I am grateful for the patience and support of my IPP advisor, Radmila Popovic. Re-reading your entries on your SIT experiences brought back many fond memories of your SMAT class and our conversations in Korea. Working with engaged, passionate, thoughtful, creative educators like so many of you who are movers and shakers still makes the job of faculty at SIT a joy and a privilege. Despite all the recent difficulties we experienced, miraculously we have 10 more students this year. I never stop marvelling at the gift of learning from people with vary varied life circumstances and interests. Keep up the good work. I just read your most recent soul searching blog entry. Educational reform, both in this country and in other places, often feels like those supertankers that seem impossible to budge. Having lived for a month in Veracruz, Mexico, at the Emporio Hotel right on the Malecon and having developed a fascination of observing how these big monsters get maneuvered in and out of the port, pushed incessantly by small pilot boats, I remain with the hope that if enough of us keep pushing, we will manage to steer the educational supertankers in the right direction. Keep pushing. See you at the next port. It’s so wonderful to have been able to read about your experiences at SIT. I am in the process of putting my application together for Fall 2011. I got introduced to SIT by a friend that once participated in their study aboard program and later TESOL course before she went into the Peace Corps. I met her after she returned to the US, and became a VISTA Leader. I too, was a VISTA Leader. 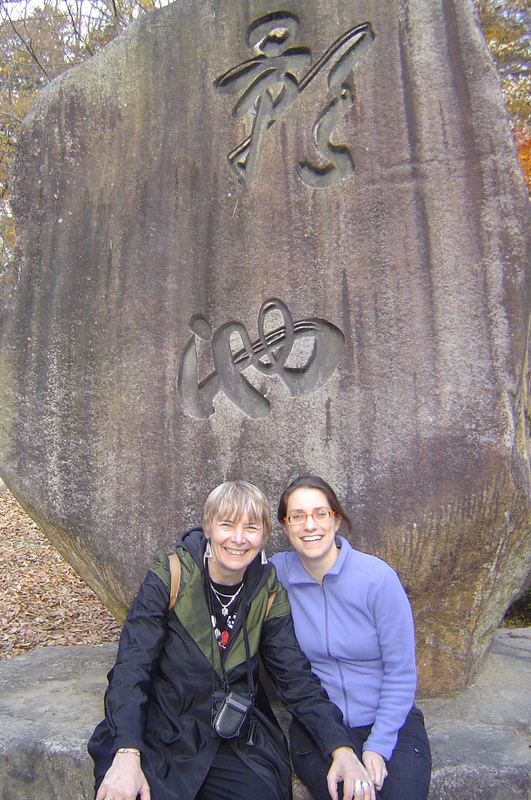 After I completed my last term of service, I began teaching in South Korea. It’s now two years later and teaching the English language has become my purpose in an effort to help make the world a better place. I believe in purpose. I also believe SIT is a good learning environment to help me better understand my purpose as teacher, true? Thank you for your comment. Yes I believe you are absolutely correct. SIT was exactly what I needed to put me on the path I am today. I am so grateful for my time there. Best of luck with your application and your experience at SIT. Hi Josettte~ I’m very glad to read your reflection of times of SIT. I was wonderign how it had made a difference in your life. Now I understnad. I am thinking over abou it since when we had talked about the programs which you recevied. So I am really happy to read it. 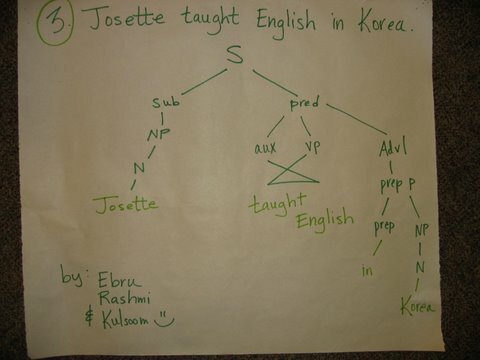 Jossette, Thank you for all thing you had done for me and teachers of KIET. Take care and by for now. Jos, I just finally finished reading your thoughts on your life-changing experience at SIT and I just watched your video again – brought tears to my eyes! It’s so hard to let an experience like that go, even though you know there is now way to preserve it in a jar or in time and space. Yet as someone in the video said, you have taken each person away with you in your hearts and minds and your experience at SIT will be with you and influence you forever. I am so inspired by what I’ve read and seen in your video and what I recollect from our talks about your experiences at SIT and how inspired you were when you returned from your summers in Vermont. I feel really encouraged about studying at SIT, especially when I read that “The learning was CONTINUOUS, not stagnant; creative, not linear; reflective”!!! AND that you never had traditional tests – I too hate these! Also, I’m tired of being a pretty-good ESL teacher – I’m ready to be an AMAZING one and know what I’m doing and how I’m doing it and WHY I’m affecting my students and WHY they’re affecting me and HOW to do that in a way that promotes their sense of culture and confidence and to help them grow as GLOBAL CITIZENS! Whew! That’s all for now, but thanks so much for responding to my questions – I have a lot more to say and many more questions to ask, but I’ve gotten a lot out of reading your response and I’m sure that anyone who reads what you’ve thoughtfully written will also appreciate it and get something important from it. Hails, I am grateful for your thoughtful and detailed feedback. Knowing what exactly resonated with you in regards to my entry and the video helped me connect to you on a deeper level. I can see from your words that you are moved by your role as a teacher and it is beautiful to see. I was especially touched to read “It’s like I’m finally realizing that i don’t have to be feeding starving children in Africa to help make the world a better place – that I can do my part through what I know and what i feel I can bring and offer – like Ana Pascal says matter-of-factly in Stranger Than Fiction:’I realized that I could make the world a better place through baking cookies. '” When I realized this about my role in life I felt such relief and ease. Baking cookies can be extremely rewarding to self and others when it’s done out of love and enthusiasm. I look forward to continuing this inspiring dialogue. Ah Josette. What a gift to us all. And so beautifully, creatively done. Thank you. Thank you. May I share us with some of our new administrators, who are beginning to learn how special our program is, who really want to appreciate it fully?